Each child is cared for with love, respect and attention and these values are also conveyed to the child in its dealings with others. The care providers always act consciously as role models and teach the children a polite and obliging behaviour in dealing with others. By means of the positive reinforcement of a loving treatment of each other, the child gains emotional security. The wellbeing of the child always has the highest priority. It is important to us to create an atmosphere of stimulation, safety and wellbeing for the child in the education centre. This means that the child receives the necessary feeling of security in order to face experiences, learning, acting and social requirements openly. Individual attention is paid to each child and it is given the possibility to develop according to its capabilities, interests and talents. The child can grow up in warm and loving surroundings and in a protected framework, while developing further along the path to independence. The child gets to know the education centre’s culture with its agreements and rules, is familiarised with its surroundings and integrated into what is happening. Each child is reinforced and encouraged in its entire development a nd in the three competences: self-confidence, social and general competence. In order to support the optimum development, the child is provided with a varied range of cognitive, creative, social, physical and playful activities. We take the needs and interests of the children seriously and make sure to integrate these into the daily planning. The children are supported and their development is encouraged. 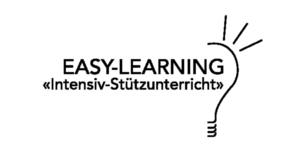 The main focus of the daily schedule is placed on the educational programme easy early steps©, which is divided into different modules. The children can decide themselves how to spend their time playfully and educate themselves individually. Social projects such as visits to retirement homes, hospital wards and animal shelters are intended to encourage social competence and foster appreciation. The day in the children’s educational centre is well-paced and divided into educationally meaningful segments. The structured daily programme includes rituals such as the morning circle / singing circle / storytelling circle. These everyday rituals are upheld and can be designed with the active participation of the child. Phases of rest are also important and are included in the daily schedule. Meals are taken together. The children should enjoy healthy food while learning the importance of a common culture of table manners. Birthdays are celebrated and both annual festivities and religious holidays are included in everyday life, adapted to the age of the children. Exercise is important and encourages the motor functions. Games of movement and skill are included in the daily schedule and materials for an exercise plan are also available to be used at all times. The daily schedule is dominated by exercise in a balanced relationship. On the one hand by means of spontaneous, independent discovery and experience through the child’s own activity in specific spaces and open areas, on the other hand by means of guided exercise programmes. The range of offers from the fields of movement education and psycho motor activity, as well as the exercise area, is intended to optimise the basic forms of movement. Exercise should be a combination of a normal matter of course and an unusual attraction. Hygiene is very important to us. Attention is paid to ensure that hands are washed after going to the toilet and before meals. We teach the children that personal hygiene is something important and pleasant for their own wellbeing. The newly constructed premises of the easy-kid-care children’s educational centre are child-friendly, with a very modern architectural style. The children have a lot of space to play and run about. The generously-sized, protected and natural outdoor area provides the opportunity to spend time outside at all times. The children learn a lot by experimenting and gathering their own experiences. That is why we make sure that the surroundings are designed in a stimulating manner and that the children have a wide range of materials to choose from. We encourage a reference to nature by providing the children with a natural playground that corresponds to their needs. By these means we enable them to move and to discover in many different ways. We have our own small kitchen garden, in which vegetables are sown with the children and they can see how plants grow and bloom. A small rabbit hut provides a connection to the animal world, through which they learn to take responsibility for a living being and to feed, mind and nurture it. We take the children into the forest for journeys of discovery to find plants and animal tracks and we teach them about our flora and fauna.